I must admit that the idea for “Tactical Advantage” was not mine. We do business with a military contractor who will remain nameless for obvious reasons. They use our “Patch-Out”and “Wipe-Out” on their bolt action sniper rifles. The use “Patch-Out” in the field. Primarily because of airline restrictions not allowing aerosols to be transported in aircraft. “Wipe-Out” is used at the local ranges and posts. Well, I got a call from their big Kahuna, asking if we could help with a serious problem they were Having with their M-4’s and M-16’s. These guns after a protracted firefight were not operating in full-auto mode. They would only function in semi-auto mode. This put most of the teams at risk, since full-auto mode is used for supressing, or cover fire. He went on to tell me that it was taking 4 hours to get these guns , “military grade” clean. They were literally grinding out the inside of the bolt carrier with a drill and a 50 caliber brush. We went to work and 6 months later w announced “Tactical Advantage”. It is used like a conventional bore cleaner straight out of the bottle. And it can be diluted with tap water to a 30% or a 40% solution and then sprayed or dripped on the bolt and gas system. Let it stand for 10 to 20 minutes and wipe dry. Oil the part if it is part of the bolt. Needless to say the military contractor is delirious with the product. He went on to tell me this morning that “Tactical Advantage” is keeping rifles on the firing line that would have been scrapped in the past. As of today there have been no M-4’s or M-16’s in his group that have been trashed. Last year there were several hundred. This is the only cleaner ever developed to address the problems associated with the Stoner AR platform. Cleans the bore, bolt carrier, bolt, gas tube etc. Sharp Shoot R™ Precision Products® announces a great new product that is the first product dedicated solely for the problems faced by the tactical shooter. Wipe-Out “TACTICAL ADVANTAGE” ™” which is to be used as a conventional non-aerosol for special use with firearms that are used in tactical applications. “TACTICAL ADVANTAGE“ ™ is an answer to specific problems, where the shooter has need for a very carbon aggressive bore cleaner that will also remove copper fouling as well as powder fouling with a minimum of effort. “TACTICAL ADVANTAGE” ™ like other “Wipe-Out ™ products is 100% brushless. “TACTICAL ADVANTAGE” ™ has a dual use for cleaning tactical firearms. 1. “TACTICAL ADVANTAGE” ™ is a brushless bore cleaner. 2. “TACTICAL ADVANTAGE” ™ When mixed with water on a 50/50 ratio and sprayed on bolt carriers and bolts will dissolve carbon on contact. This exciting new product is easier to use and is considerably less messy, and is totally odorless. It has no complicated method of application. You simply put it on a patch or a mop and swab it thru the barrel, or spray it on a part you wish to clean.. No Muss No Fuss ! “TACTICAL ADVANTAGE” ™ has been designed to be a maximum strength product. In our testing we found that “TACTICAL ADVANTAGE” ™ was capable of dissolving more fouling faster than any product currently on the market. Methods of use: specifically for M-16’s, AR-15’s M4’s MP5’s HK91’s HK 93’s etc. #1. A conventional bore cleaner that is applied to a patch, a nylon brush, or mop and allowed to soak while it dissolves the fouling left in the barrel. We prefer a nylon brush which will hold more chemical. Simply load the brush, push it in once and pull it out. #2 A Pre- Soak Patch used before using WIPE-OUT “ACCELERATOR“™ and “TACTICAL ADVANTAGE” ™ will loosen powder fouling and speed the dissolving of copper and carbon. You This method will maximize the removal of fouling in the shortest possible time. #3 Use “TACTICAL ADVANTAGE” ™ as a barrel swab in between relays or between shot strings to remove powder fouling and begin the job of dissolving carbon and copper. This method is a quick solution that will ensure the cleaning job you do when you have more time will be positive and complete. Many shooters need a product that will clean in the shortest time possible because they have severe time constraints. The body of competitive shooters falls in to this group because they all have minimal amounts of time to clean their firearms between relays. Additionally during break-in of a barrel it is normal to clean the barrel every few shots for at least the first 100 to 150 rounds. Or you may be a high volume shooter , who shoots a large number of rounds before being forced to clean due to the degradation of accuracy. In these particular situations a faster method of cleaning is necessary. the solution. Place the firearm down horizontally on the bench. Wait for 15 to 20 minutes. Put a clean cotton patch on a good jag and push through the bore. The use of a bore brush to scrub is not necessary, ever. Simple and easy with no complication. While this product has been designed to be totally brushless, admittedly there are those who still wish to use a brush. If the user will take two strokes through the bore with a nylon brush “TACTICAL ADVANTAGE” ™ will produce a luxurious thick lather. Allow it to set as per original instructions for faster results. “TACTICAL ADVANTAGE” ™ is meant to be used by itself as a cleaner, or in combination with ACCELERATOR™ . “TACTICAL ADVANTAGE” ™ is as safe to use as WIPE-OUT™ and in no manner compromises the safe use of either product. “TACTICAL ADVANTAGE” ™ it self is a revolutionary new product that is the only product of it’s type specifically designed for the problems of cleaning encountered by the tactical shooter. Removal of metal fouling and carbon from the bore can rejuvenate and restore accuracy to and badly fouled firearm. Heavy amounts of brushing to the bore of a firearm can produce damage and unnecessary wear. New “TACTICAL ADVANTAGE” ™ and WIPE-OUT ACCELERATOR™ were formulated to utilize technology in the safe removal of all types of fouling from the barrel faster, and more efficiently…….and without brushing. I. “TACTICAL ADVANTAGE” ™ will dissolve copper , bronze, cupro-nickel, brass fouling in the bore twice as fast and in half the time without brushing. II. “TACTICAL ADVANTAGE” ™ will protect all metal parts including the bore against corrosion & rust. III. “TACTICAL ADVANTAGE” ™ is totally safe for all steels (both stainless and carbon)and all metal plating( including chrome lined barrels). VI. “TACTICAL ADVANTAGE” ™ dissolves smokeless powder fouling, and primer fouling, both corrosive and non-corrosive..
VIII. “TACTICAL ADVANTAGE” ™ is odorless, relatively safe and easy to use. IX. “TACTICAL ADVANTAGE” ™ cannot gum or leave behind solids that render the firearm useless. X. “TACTICAL ADVANTAGE” ™ contains NO ACID and NO AMMONIA. the amount of firearms that can be cleaned with 2 cans of WIPE-OUT™. Manufactured and sold by, Sharp Shoot R.
66071. Pho:785-883-4444 or by Fax at 785-883-2525, e-mail:getinfo@sharpshootr.com. “TACTICAL ADVANTAGE” ™ is a Revolutionary New Product…. made specifically for use in “tactical” firearms…M-16’s, AR-15’s M4’s MP5’s HK91’s HK 93’s etc.. PUT “TACTICAL ADVANTAGE”™ IN A GUN YOU THINK IS CLEAN………! ! ! ! ! a revolutionary product that solves all problems encountered with conventional bore cleaners. It is a revolutionary product because it is totally BRUSHLESS. Loss of accuracy is normal in all firearms after they have been used in a prolonged shooting session. The barrel will become fouled with gunpowder residue as a result of combustion, additionally: two other materials are deposited internally to the barrel,……. carbon and metal fouling from bullet material . These two are the most difficult to remove and are the greatest cause for the loss of accuracy in a firearm. A more recent approach has been to product products with heavy amounts of acid and ammonia. While acid and ammonia will remove metal fouling and carbon, they are dangerous to you and your firearm. Products containing large amounts of acids and ammonia still require large amounts of brushing…..but not “TACTICAL ADVANTAGE“™. The competitive products contain chemicals which have a horrible smell, and very dangerous to the steel used in gun barrels. There are many sad shooters who have pitted a barrel using cleaners of this type. It is quite easy using these products to permanently damage the interior of the barrel with pitting. But not with “TACTICAL ADVANTAGE“™ ! This great new product is also designed to remove carbon fouling from bolts ,bolt carriers, triggers and trigger groups,gas tubes, flash hiders, silencers, muzzle brakes and suppressors……..on contact. You simply mix it 50/50 with water, put it in a spray bottle and spray it on the parts to be cleaned of carbon and powder fouling. Being a totally brushless product with “TACTICAL ADVANTAGE“™ each cleaning session takes no more than 2 or 3 patches. BOTTOM LINE IS THAT “TACTICAL ADVANTAGE”™ WILL KEEP A GREAT BARREL IN PREMIUM CONDITION LONGER THAN ANY OTHER CLEANING METHOD. BRUSHING A BARREL IS “DARK AGES “TECHNOLOGY. INSTRUCTIONS FOR USE OF——–“TACTICAL ADVANTAGE”™ THE FIRST FIREARM YOU CLEAN WITH “TACTICAL ADVANTAGE”™ SHOULD BE ONE YOU THINK IS CLEAN. . Simply apply the “TACTICAL ADVANTAGE“™ with a mop or a loose patch or a nylon brush. Don’t use a jag and a tight patch, because that method squeegee’s out all the chemical. I use a nylon brush because it holds the most chemical. An added benefit is the brush will make “TACTICAL ADVANTAGE“™ suds. If you use a patch make sure that the patch is really juicy. “TACTICAL ADVANTAGE“™ designed to work with out brushing. Allow to set for 20 minutes. Push a clean patch thru the bore. Now apply a second application, and allow it to set for 10 minutes. If you get no color on the second patch, you have proof that the barrel came clean in the first 20 minute session. Because of it’s anti corrosive ingredients it is not necessary to put oil in the bore. The oil will increase carbon deposits. This will also remove the necessity of taking fouling shots. Your cold barrel- first shot will be where the group is. Set the firearm on the bench horizontally. Let it sit for 10 minutes. After 10 minutes has elapsed, push a clean cotton patch on a jag through the bore . Heavily fouled guns or those cleaned with other products should be left overnight on the first cleaning. Patch out in the morning. Re-apply “TACTICAL ADVANTAGE“™ and wait 10 minutes. Patch out and check for any color. If color is present…….re-apply and let set overnight. Repeat the morning procedure. Once the gun is really clean, …….a normal shooting session (20 to 60 rounds) can be cleaned in less than one hour. You have to get the barrel clean to start with…….The reason we ask you to start with a gun you think is clean ………….is so that you will understand what ineffective cleaners have been leaving in your barrel. Also there may be a distinct layering effect of fouling which is caused by ineffective cleaning. The barrel may actually have as many as 7 or 8 layers of fouling which is probably the most difficult to remove. The barrel with this type of fouling may take 2 or 3 overnight applications of “TACTICAL ADVANTAGEs2″™ to finally get to a clean patch with no color. Powder fouling (both smokeless powder and black powder) will be grayish black on the patch .Copper fouling will be deep navy blue. Carbon will be tannish to brown in color .Please be aware that large amounts of fouling on a very dirty firearm can build up in layers. IF THERE IS NO COLOR ON THE PATCH……….THE FIREARM IS CLEAN. IF THERE IS ANY COLOR ON THE PATCH: Apply the “TACTICAL ADVANTAGE“™ again to the barrel. If the first patch showed all three colors, the gun is heavily fouled. Let the gun set for 60 minutes or more . Push a clean patch through the bore. If there is still color on the patch re-apply and set for a longer period of time. Whenever possible the easiest method using PATCH-OUT™ is to LET IT SET OVERNIGHT. REMEMBER THE FOLLOWING:A PATCH WITH NO EVIDENCE OF COLOR IS EVIDENCE OF A CLEAN FIREARM. Deep navy blue on a patch is evidence of heavy copper fouling .In cases where the firearm has not been properly cleaned, or shot quite a number of times “TACTICAL ADVANTAGE“™ may be applied and the gun left to set overnight, with no harm to the firearm. Patch out the bore in the morning , Re-apply “TACTICAL ADVANTAGE“™ liquid, and let firearm set 60 minutes. There should be NO EVIDENCE OF COLOR ON A PATCH. Always let the firearm rest horizontally……never muzzle-up when using “TACTICAL ADVANTAGE“™ . “TACTICAL ADVANTAGE”™ RESTORES BARREL LIFE AND ACCURACY TO THESE GUNS. It’s odorless and non-flammable, It contains a rust inhibitor, and will not stain hands of clothing . “TACTICAL ADVANTAGE”™ is not safe for varnish , shellac or old oil type wood finishes. It will remove them. However “TACTICAL ADVANTAGE”™ is safe for all the modern finishes ( poly-urethanes, and epoxys) and all types of synthetic stocks It will dissolve brass, bronze, and copper. Most aluminums (AR-15/M-16 receivers and all aluminum pistol frames) are safe with “TACTICAL ADVANTAGE“™ , but some will discolor to a dull grey. IF you have any doubt try a test area where it will not be visible. “TACTICAL ADVANTAGE“™ will NOT DISSOLVE LEAD but it will degrade lead so that it can be pushed out with a patch.”TACTICAL ADVANTAGE“™ contains no acid and no ammonia.”TACTICAL ADVANTAGE”™ CANNOT CAUSE RUST. It will not gum, or form solids in either the action or the barrel .”TACTICAL ADVANTAGE“™ is safe for all barrel steels,including chrome lined bores and both stainless and carbon steel. Note: “TACTICAL ADVANTAGE“™ will remove Molybdenum. “TACTICAL ADVANTAGE“™ is recommended for rifles, pistols, revolvers, shotguns, and will also clean suppressors, flash-hiders , muzzle brakes, and silencers. It’s made in the United States and meets all governmental criteria. Let’s start by discussing the particular nature of the inside of a barrel in a modern firearm. There are practically no standards of barrel material (which may be carbon steel or stainless),nor are there very many standards in the methods of producing the rifling inside. With this in mind it is easy to understand why there are not many “givens” in the process of barrel break in. Most of the barrels produced fall into two classes. “Factory barrels” are those that come your major brand complete firearm. “Custom barrels” produced by independent custom manufacturers, that offer a wider range of selection and generally a much higher degree of quality. The “Custom barrel” is usually installed by your favorite gunsmith or custom rifle maker. The rifling process starts with thru-drilling a blank of barrel steel. The straightness of this primary hole drilling is just as important as the following methods of rifling are. Barrel makers have a varied number of grooves in the rifling they can produce. This process is usually achieved by either one of three methods. The way most barrels were made for centuries was to “Cut” rifling in the barrel by the means of a Hook and Broach. Today most barrels produced by this method are called “Cut Rifle Barrels”. The second method of producing rifling in a barrel is called “Button Rifled Barrels”. A button made usually of a carbide steel alloy, is forced thru the barrel to produce a “Button Rifle Barrel”. Lastly is the “Hammer-forged barrel” which is produced by first thru- drilling an oversize hole, placing a mandrel inside which has the rifling on its exterior. The barrel blank is then “hammered” with tremendous pressure in a 360E manner to shrink the barrel down around the mandrel. All of these processes are capable of producing barrels that can produce incredible accuracy. Let’s get a couple of things straight in our thinking. You probably have heard about “rough” barrels, and very “smooth” barrels. I can tell you for a certainty that there are both “rough barrels “and “smooth barrels” that have great accuracy. The “rough barrel” will, however, generally allow fouling to build up quicker. You have to be aware of this fact when you are breaking in your new barrel. You will be looking for factors that will help you determine which of the two groups this new barrel is going fit in. If it’s going to be in the “rough barrel” group you’re just going to have to clean more often. “Custom barrels” generally have been lapped to one degree or the other before they leave the factory. It’s a good idea to find out from the maker if this is part of their practice because lapping will start the break in process. “Factory barrels” have no general rule either when it comes to lapping. You need to check this out in every instance. Lapping can smooth the barrel and help to minimize the build-up of fouling. Lapping by the way is achieved by using a mild abrasive on a patch and “working “ on the rough spots, a process done exclusively by feel. Just what the heck comprises fouling ? Well fouling in a barrel really could be considered anything that is deposited after a round has been fired. Fouling build-up is what causes a barrel to lose accuracy. Fouling is found in three major categories, and several minor ones. Lets look the”majors” first ! With all this in mind we now can turn to the task itself of breaking in a new barrel. Generally we can say that most new barrels are “broken in” somewhere between 50 and 150 rounds. In my personal experience I have seen some factory barrels that would not settle down in to shooting good groups until 200 or so rounds had been fired. You should be able to see a marked improvement in grouping as the barrel “breaks in”. We can now start the ” break in” process. What we want is to let the barrel tell us how far we are in the “break in “ process. I also recommend using a good coated one piece cleaning rod and a bore guide in the cleaning process. 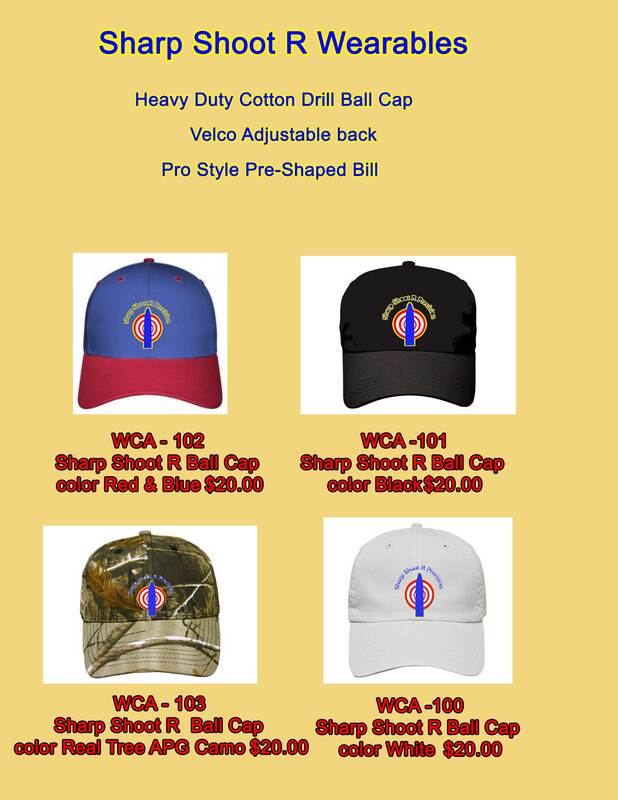 Be sure to use a caliber specific jag and good 100% cotton patches. What we are going to do is to always shoot for a group. It is group size that is a major factor in determining if your barrel is breaking in. The groups should get progressively smaller as the barrel is breaking in. You would have no idea of your progress if you were pinned to the old method of “one shot and clean’. Most good modern barrels will be “broken in” in somewhere between 25 and 150 rounds. With a clean barrel the first thing I recommend is to fire three shots, using ammunition that I know is accurate in this cartridge. Remember that we are shooting for the best grouping possible. The concentration of shots into a small group will also tell us how far along the barrel is in the “break in “ process. I then apply Wipe-Out or Patch-Out TM and let the bore cleaner sit for approximately 20 minutes. Pay close attention to the color left on the patches, because the color will tell you what is going on in the barrel with regard to fouling. Apply the second application of Wipe-Out or Patch-OutTM …….the “proof test” application, and let it set another 10 minutes. If you do not get any color on the patch after this second application, you then know that the initial application really did clean the barrel. You may the proceed shooting 5 three shots, cleaning 20 minutes after each group of three. I normally will fire around 5 groups of three shots. I am interested to see if the groups are getting smaller. The barrel will tell you what you are removing by the patch color. Now I normally will increase to four shot groups. The first 4 shot group you will clean for 20 minutes. Now do the proof test for 10 minutes on this first 4 shot group. You may the proceed shooting 5 four shots groups, cleaning 20 minutes after each group of three. Lastly, I will then progress to five shot groups. The first 5 shot group you will clean for 20 minutes. Now do the proof test for 10 minutes on this first 5 shot group. If I get evidence of huge amounts of copper on the patch after the second application, it will probably be best to drop down to shooting groups with 2 shots. Just make sure that the barrel is clean, with no color on the patches using the “proof test”. Now it’s time to evaluate the end of the break in cycle,……..after the last 5 shot group is fired and the barrel has been cleaned. In this process you will have fired somewhere between 65 and 85 rounds. But the most important fact is that , all along the way we have been shooting groups. We know that, as the barrel is breaking in ….the groups are getting smaller. When those groups stop shrinking in size………..the barrel is broken in. Many custom barrels will show little or no copper during the “break in” period. What is most important is that the barrel is clean between each group firing. As the barrel is breaking in you will be able to realize a definite improvement in group size. Smaller for a change, is always better. The beauty using Wipe-Out or Patch-OutTM in the “break in “ process is the fact that the barrel quality has not been compromised by endless amounts of brushing. Nor are you using a witches brew of 4 or 5 chemical products, each accompanied by more and more brushing. If you have any questions please do not hesitate to call. I will be happy to help you with any questions you may have.